So far, we have held seven very successful Medical Seminars in Limassol, all under the auspices of the Cyprus Ministry of Health, with very high attendance by Cypriot and overseas doctors and feedback indicates that this is possibly the most successful series of medical seminars ever organised in Cyprus. 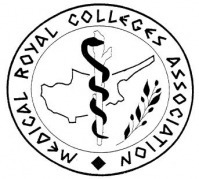 Two of the seminars were jointly organized with the Royal College of Physicians of London (RCP), the latest of these in November 2008 was the EASTERN MEDITERRANEAN SEMINAR ON GENERAL MEDICINE, held under the auspices of the Cyprus Ministry of Health, the Pancyprian Medical Association and the Limassol Medical Association. The events were fortunate enough to also include very high ranking officials of the Royal College of Physicians like the President, Professor Ian Gilmore and the Director of the International Office, Professor Roger Williams as well as several other internationally recognised eminent lecturers from the UK. As a non-profit association, our international seminars are only made possible by the generous sponsorship of several pharmaceutical companies as well as other local organisations which recognise the value of this seminar to all Cypriot doctors.